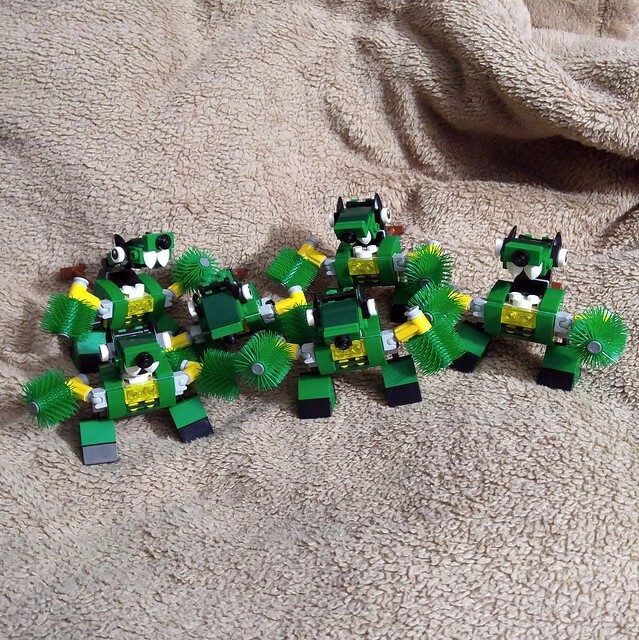 When I built the two goofy Mixels yesterday, I mentioned I had a lot of this particular guy. So here they all are. Well, here are six that I could find. There are probably more, but I gave up digging. As far as I could tell, there were three of each type of Mixel in a case. If that estimate is correct, this picture represents 2 cases worth of Sweepz. I’ve already built at least two previously and I’m sure there is another floating around here… at least. So I managed to get about three cases worth on clearance. I don’t know what’s wrong with kids these days that they wouldn’t want this guy. I would have bought more. But, I don’t have a problem.